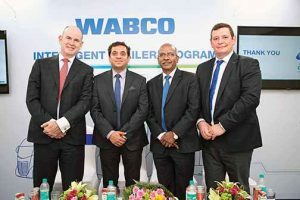 WABCO is confident of the Intelligent trailer programme complementing its growth in India and enhancing (truck) trailer safety and efficiency. 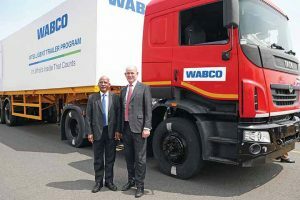 Entering into contracts in local currencies with customers worldwide that total USD 745 million of the expected cumulative incremental business, WABCO, a supplier of technologies and services that improve the safety, efficiency and connectivity of commercial vehicles, has unveiled an intelligent trailer programme in India. Winning awards (separate from revenues gained from replacement and renewal of existing contracts) specifying USD 502 million in new business earmarked from 2018 through to 2022 inclusively, the company demonstrated the new technology at its test track at Chennai recently. 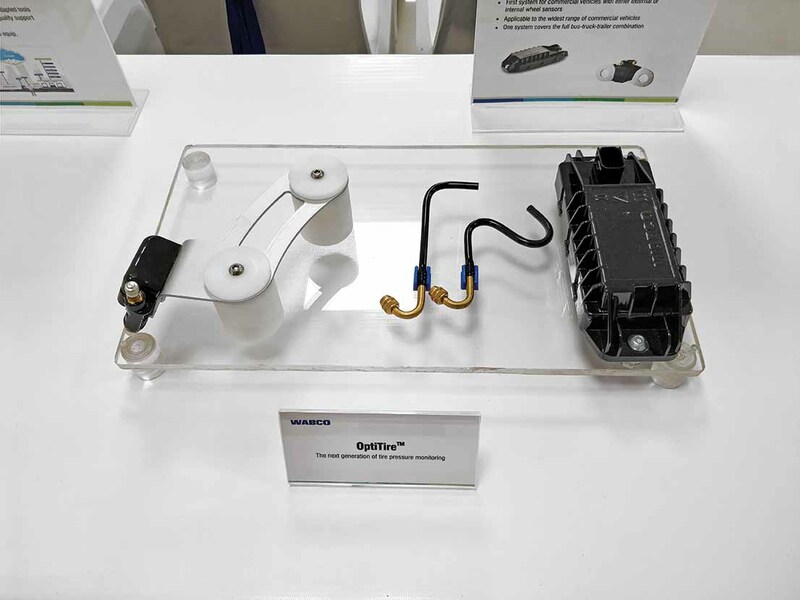 Claimed to be the first such initiative in the industry, WABCO, through the intelligent trailer programme, has brought advanced technology to India by leveraging its capability in the area of trailer anti-lock (electronically controlled) braking systems and provide a platform for up to 40 innovative trailer operating functions. 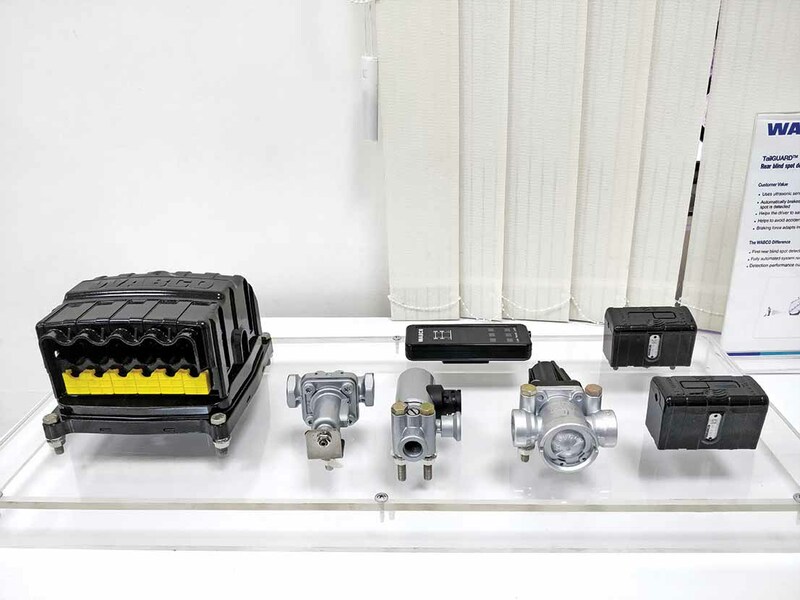 The worldwide order contracts, separate from revenues gained from the replacement and renewal of existing contracts, which comprise of products like actuators, air disc brakes, steering technologies, electronic suspension systems, transmission automation and fleet management solutions that provide advanced connectivity between trucks, trailers, drivers and fleet managers, WABCO in India, with the intelligent trailer programme is keen to offer significant value-add to the trailer manufacturers and fleet operators. Enabling customers to select the functions most relevant to their specific needs, the programme offers a powerful range of customisable solutions to elevate operating safety, and to reduce transportation and fuel costs. Paving the way for the trailer industry in India to upgrade from basic braking systems to the next level of advanced braking and suspension systems, thereby bringing more automation, WABCO is confident of reducing accidents due to the failure of systems in trailers. Terming India as an important and dynamic growth market, Jacques Esculier, Chairman and CEO, WABCO Inc., expressed that the company is leveraging its capability to powerfully integrate truck and trailer control systems expertise and launching such a programme to demonstrate a commitment to deliver sustained value to the trailer market. “Our intelligent trailer programme will enhance operational efficiency, safety and security in India,” he mentioned. “The technologies that make the intelligent trailer programme will fully support the Government of India’s mandate for enhanced braking functionality once it is enacted,” said P Kaniappan, Managing Director, WABCO India. He stressed on the abilities of WABCO in India and the world over even as he drew attention to the six key functions of the intelligent trailer programme. These include trailer anti-lock braking, roll-stability support, TailGuard (detects static and moving objects in the blind spot behind the vehicle and automatically brakes the trailer when reversing), OptiTire (tyre monitoring system), OptiLevel (a modular electronically controlled air suspension system for trailers that reduces fuel consumption, loading and unloading time, automatically adjusts trailer height when loading and unloading, and allows lifting and lowering of the trailer without using engine power), and OptiLink (an Android App. that monitors and controls trailer safety and efficiency functions). Supporting the Indian Government’s Automotive Indian Standard (AIS) based on the Trailer Code AIS 113, which mandates the fitment of Trailer Anti-Lock Braking System (ABS) on all trailers manufactured and registered in India from April 2018, the intelligent trailer programme, according to P Kaniappan, will help the company to outperform. 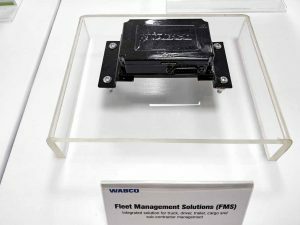 With new business wins totaling more than USD 500 million over the next five years worldwide, and building on USD 3.2 billion of cumulative new business wins announced since 2014, WABCO, according to Esculier, expects to continue to outperform the market within the six per cent to 10 per cent range. The intelligent trailer programme could be estimated to add significantly to the revenues of the Indian subsidiary with large fleets looking at enhancing safety and cutting costs. 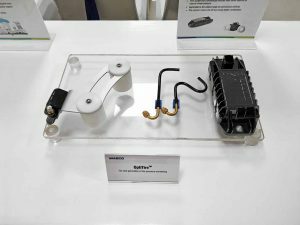 Enhancing the value of stand-alone technologies like trailer ABS that WABCO has been offering, the intelligent trailer programme takes the concept of safety related to trailers to a new level altogether. Given the shift to higher tonnage commercial vehicles in a post-GST scenario, and with the development of infrastructure, market requirements have been changing. The entry of international fleets is also driving a change. The need to cut costs assuming a different dimension in the wake of rising fuel prices and seemingly stubborn freight rates, the intelligent trailer programme should add to the company’s bottomline in India. With functions like the creation of an environment where the driver and the fleet manager can access 18 trailer-control and monitoring functions – the widest range accessible through a single mobile device, the effect on safety is expected to be highly positive. The availability of real-time information allowing fleets to further improve vehicle safety and efficiency from the protection of the cab or a nearby position, functions like OptiLink, in a BSIV and BSVI scenario, would enhance operational effectiveness and provide the fleet operator with fast and easy access to key trailer data. Another important function, OptiTire, detects early leakage of air from the tyre, helps maintain optimum tyre pressure and achieve the best efficiency, elevates safety by measuring the air temperature of the tyre, and supports etelamtics connectivity. Operating five manufacturing facilities across India, an advanced technology development centre, a vehicle testing facility and a nation-wide aftermarket distribution and services network, WABCO in India, has been driving rigorous development in the area of software and hardware. Said to be a production hub for actuators, and the second pillar of global source of value for WABCO, the Indian operations, in FY2016-17 reported sales of Rs.2103 crores.